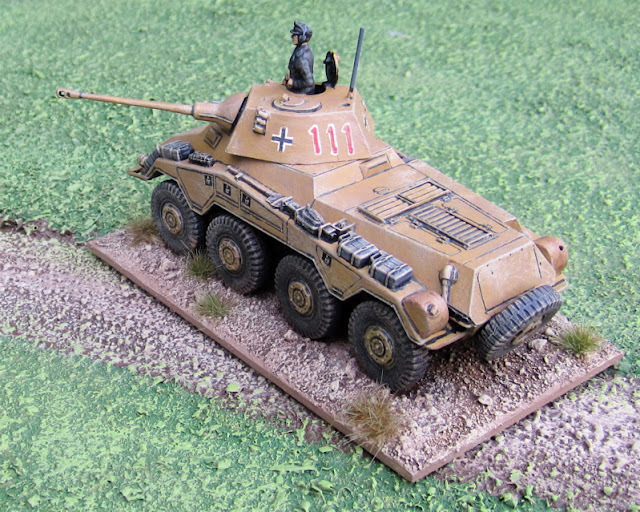 This is one of the items I picked up from Imperial Hobbies in Vancouver when I was there a few weeks ago - a Bolt Action Miniatures SdKfz 234/2 Puma. 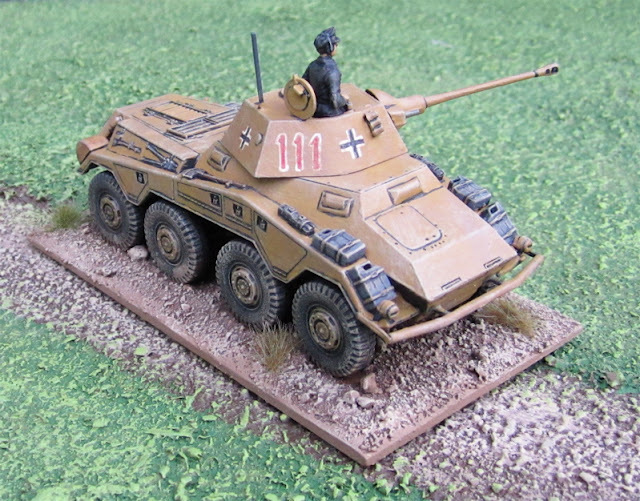 SdKfz 234/2 Puma from Bolt Action Miniatures. I don’t know… somehow I thought when they started coming out with plastic kits of various things they’d be cheaper than resin kits. These don’t really seem all that cheaper. Ah well. I did read Flying Lead a month or so back and have been looking for an excuse to try them out...? USMC Jeep from Brigade Games/Company B.
I’m not really sure what they’ll be used as…? 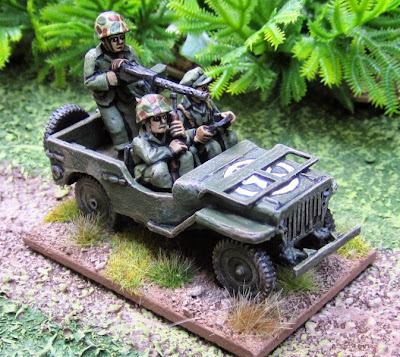 Jeep recce team? 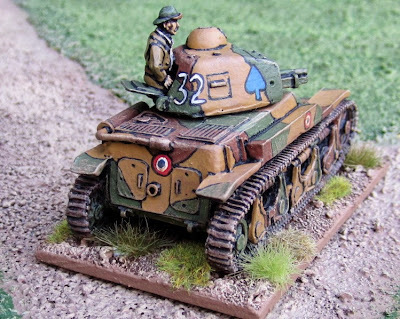 Company Commander? 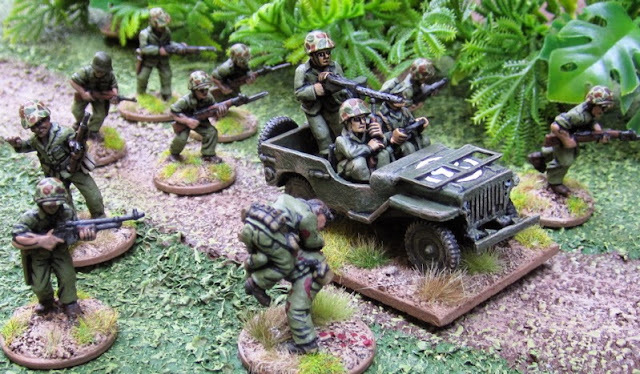 Here it is with a few of my other WW2 US Marines. 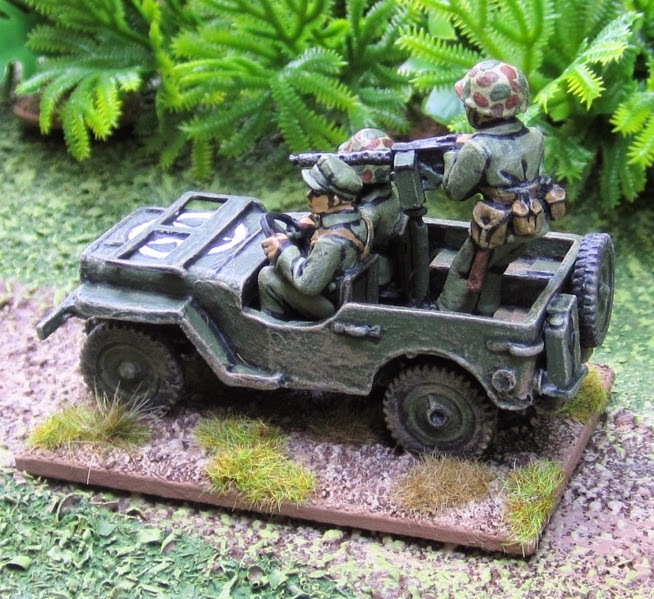 As I mentioned I have another team like this and then the Rat Patrol…I think I’d like to pick up a couple of their SAS/LRDG jeeps at some point. I was thinking about putting together an SAS Jeep patrol/raiding squadron and, just to have some uniqueness to the different teams, I thought I might order jeeps and crews from different manufacturers…? I know Company B, Warlord Games, and Dixon Miniatures make them (Warlord games has two variants, Company B comes with different heads…) are there any others out there? 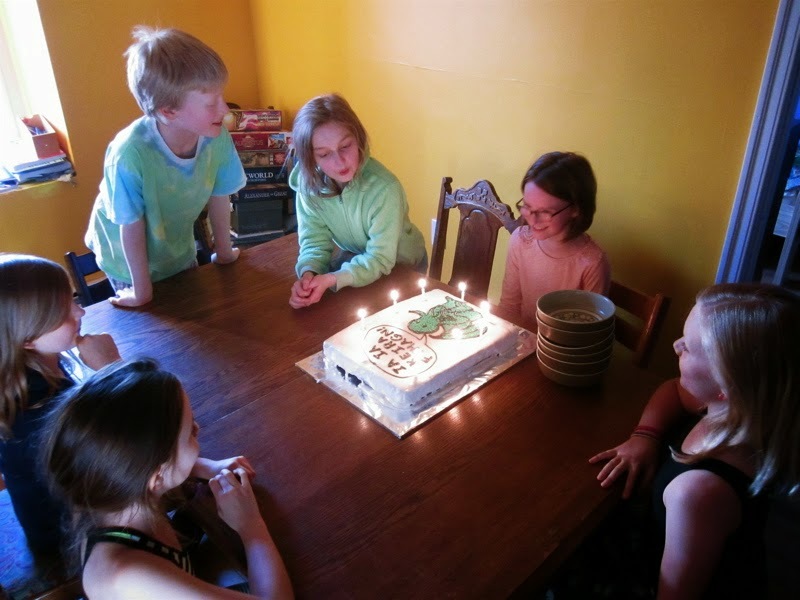 How wildly different could their Jeeps be…? Ummmmmm…? I’m not really sure… so much stuff polluting my workbench… it’s really time for a clean-up…. 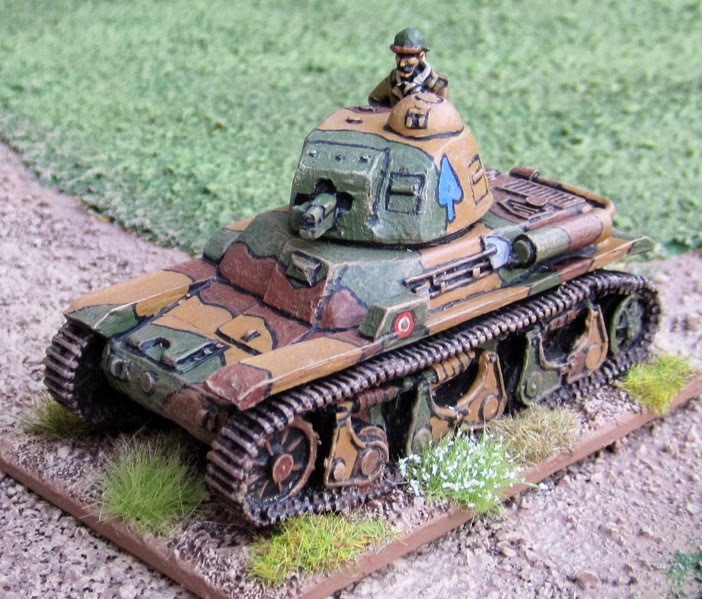 While I was in Vancouver I made a trip out to Richmond to visit Imperial Hobbies and picked up a few things there – including this French Reneault R-35. 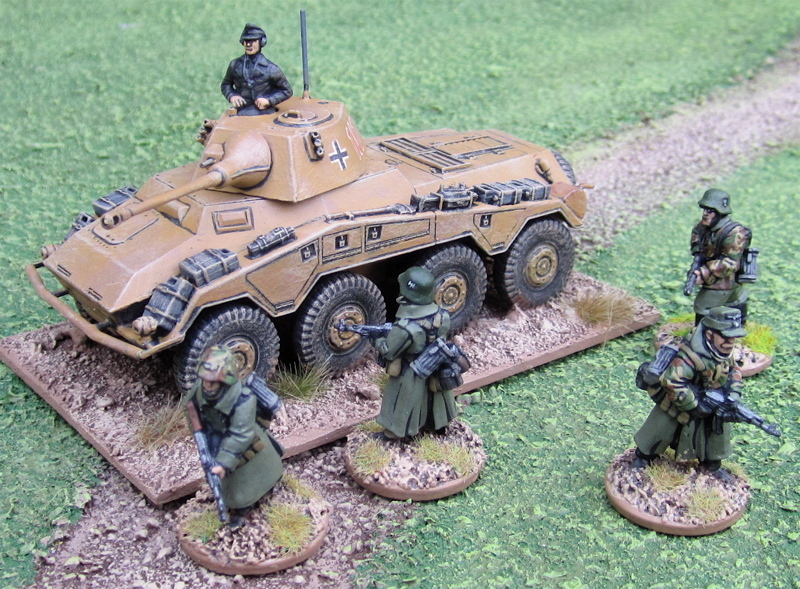 I also picked up a box of Gurkhas ( to add to my Chindit force, a German Puma armoured car, a Battle Honors Russian T-70 and a pack of Coppelstone Back of Beyond Russian Partisans (the last two being items I found in the bargain bin). 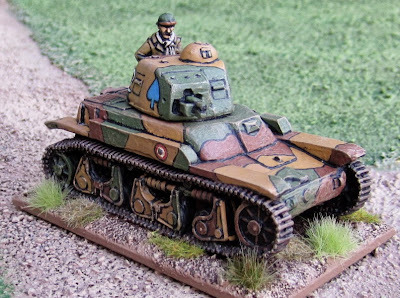 The week before I went I’d been checking their online catalogue and they’d had an Italian M13/40 tank listed and a boxed set of Bersagliaeri… unfortunately when I arrived the tank had been sold and so I talked myself out of picking up the Bersagliari. 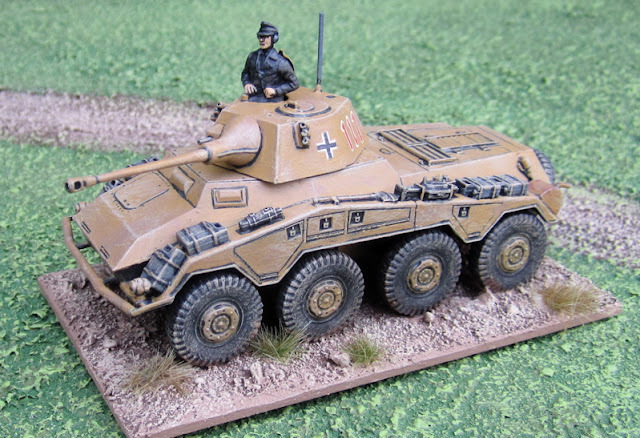 There were a few other things I’d gone there looking for that they were out of stock on… and a few other things I saw there that I now wish I’d picked up… but… whatever… I got what I got and I have no shortage of things to paint (and potentially play with)! I also bought some socks while I was there and a fancy new pair of shoes. But not at Imperial Hobbies. French Renault R-35 from Warlord Games. I didn’t just pick up the R-35 because it happened to be available. I’d been planning on getting an R-35 anyway as the majority of the Bataillion de Chars de Combat (armoured battalions that provided support to Infantry Divisions) seem to have been equipped with them. The basement is a mess. I’ve got stuff all over the game table and stuff for painting spread over two other tables in the basement… I have no idea what I might finish up next… I really need to clean up down there and come up with some sort of PLAN and maybe actually PLAY some games with all these minis I’ve been painting! ?